Home » Interviews » HOW TO MARKET YOUR OPPORTUNITY TO THE RIGHT NETWORK MARKETING PROSPECTS. John Agbo is a network marketing entrepreneur and Internet marketer. He owns and run www.johnagbo.com where he shares his thoughts on network marketing. John is happily married to his beautiful wife Janet and are blessed with two lovely kids. AYODEJI OLADEJI CHARLES: Can you tell us a little about yourself? JOHN AGBO: Thank you so much. My name is John Agbo, I am a network marketing entrepreneur and Internet marketer. 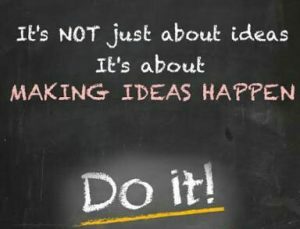 I own and run www.johnagbo.com where I share my thoughts on network marketing. I am a Theatre Arts graduate from the prestigious Benue Stare University, Makurdi. Being the last of nine children, growing up was fun but I wasn’t born into a rich family though. However, my parents did everything humanly possible to give us the best they can and they made sure we never joined the ‘bad gang’ (laughs) because our future was very very important to them. Errrm, I learnt to take responsibility for myself very early in life because I wasn’t born with an aluminium spoon talk more of being born with a silver spoon (laughs) and that has really helped shaped me to who I am today. I am also happily married to my beautiful wife Janet and we are blessed with two lovely kids. JOHN AGBO: Well, my journey into the business world began after I read Robert Kiyosaki’s Rich Dad Poor Dad. I learned so many valuable lessons about building your own business from that book and for me, I think that was what launched me into the world of business. At first I didn’t really know where to start from, but being someone who is so passionate about using the Internet, I decided to start from there. Besides, I didn’t have enough capital to start any brick and mortar business so I started with affiliate marketing and that was like some five years back. From there, I dabbled into mini importation and I started customising wristband for churches. Later on I moved into importing other things and selling them online. I am still actively involved in the business of mini importation though but it now serves as a side hustle. I have also attempted several offline businesses that never saw the light of day. I have sold Mixtapes, movies, dough-nut and even chin chin (laughs) on the streets just to get by, but all those businesses crashed due to mismanagement on my part, lack of focus and self-doubt. I also didn’t have the right mentor to show me the way so I was basically doing trial error and trying to figure out things all alone. To be honest with you, I don’t think anyone has failed like I ever did in business but I discovered that all those failures in the past made me who I am today. When I finally discovered network marketing, I didn’t think twice before joining the profession because I saw it as a vehicle to achieve my three core dreams which are: financial freedom, time freedom and work freedom. Making the decision to join the network marketing profession has been one of the best descions I have ever made. You see, Brian Tracy told me in his book ‘No Excuses’ that it is not the amount of money you earn that is important but the quality of who you become in the process of earning that money. Network marketing is the best entrepreneurship school in the world because you get to learn almost everything that makes you become a true entrepreneur and a better person to your society. AYODEJI OLADEJI CHARLES: That’s interesting John. As a network marketing expert, who is a right network marketing prospect? JOHN AGBO: I am so glad you asked this question because this it is a topic I love to speak on a lot. You see, when most people come into this industry for the first time, they are been told that everyone is a potential prospect. That statement might be true to an extent considering the fact that you can not read someone’s mind to know if he will truly be interested in what you have to offer. However, I do not totally agree with that statement. Why? Because if everyone is a prospect then no one is a prospect. Everyone cannot be in the market for you. You cannot be selling your product or service to everyone. In every business, there is a target market and network marketing is not an exception. Now to answer your question proper, I would like to say the right network marketing prospect is someone who is interested in or looking for what you have to offer and also has the disposable income. This has to be someone that you can relate to, and he/ she should also be able to relate to you as a person. Most importantly, the right network marketing prospect must be someone who is not just ready to build a network marketing business but also has the right mindset to work towards achieving a goal. 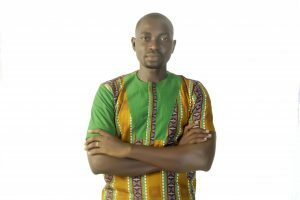 AYODEJI OLADEJI CHARLES: Considering what you just said, then, how do you know the right network marketing prospect? 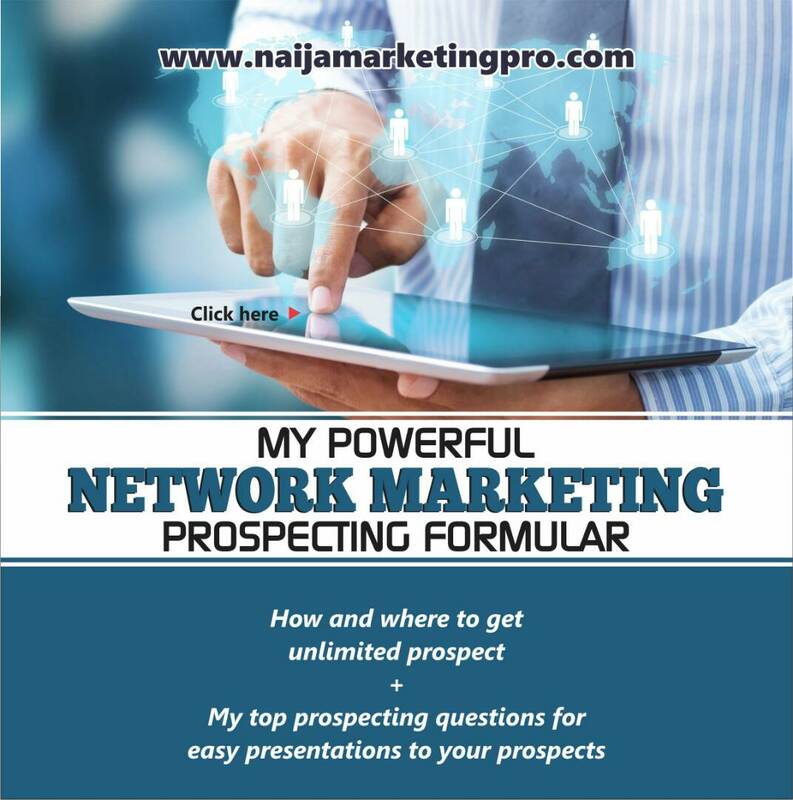 JOHN AGBO: Identifying the right prospect for your network marketing business takes a little bit of some work and skills. It is not something that can be done automatically. 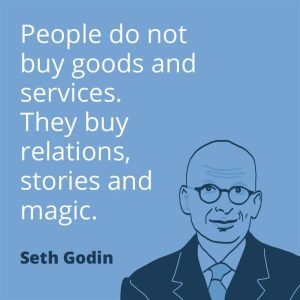 First, you have to connect with the prospect and be interested not interesting. How do I mean? You should be interested in what the prospect has to say. Make it all about him and not all about you. Ask your prospect questions and be caring. Find out about their needs and see if your product or opportunity is the right solution for them. Don’t be too desperate to just recruit them into your opportunity. The more deeper you are able to connect with them and ask questions, the more easier it becomes for you to uncover their needs and that will tell you if your product or opportunity can actually be a solution to the person’s problems. 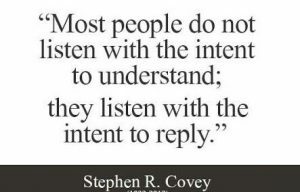 You must know how to listen attentively and you must learn how to ask the right questions in order to get the right answers. The responses you get from the prospect will determine if he or she is actually the right prospect for your opportunity. AYODEJI OLADEJI CHARLES: That’s great John. How do one target the right network marketing prospect? JOHN AGBO: If you want to target the right network marketing prospect, there are basically two ways in which you can do that. First is by prospecting and secondly through marketing. 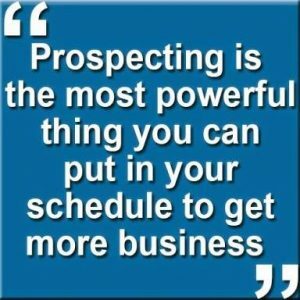 Prospecting is a process by which you reach out to the person you want to introduce your opportunity to. While marketing on the other hand is all about putting yourself out there and hoping someone will ask you for more information about what you do. This could be a blog post, Facebook live, a video or even a simple status update on social media. Now let me put this in perspective, good marketing is about thinking about a particular individual and then crafting a message that speaks directly to that individual. Out of the two ways of targeting the right network marketing prospect that I talked about, marketing or attraction marketing to be precise is the best way to target your prospects. By using attraction marketing, you don’t chase people, you don’t beg anybody to join you and you don’t try to convince anybody. You simply offer value and attract people to you. Once you know who your ideal prospect is, the next thing you have to do is to find out about their pains, problems and challenges, then give them what they want for free. What the prospects wants is information. They want solutions to their problems so by offering them information that can help them solve their specific problems, you will position yours as a trusted adviser. The prospects will know, like, respect and trust you and that will build up your credibility. Assuming you are targeting struggling network marketers, you could craft a blog post like : “5 ways to generate unlimited network marketing leads online”. Any network marketer who is struggling to generate leads online and sees such post will want to stop and read the entire contents because you are aware they need the information so you crafted the blog post with them in mind in order to attract them to you. So instead of going to look for them, they look for you because you serve them by offering them value. This will make them to know, like and respect you. As time progresses, they will start reaching out to ask you questions and that will present another opportunity for you to build the relationship deeper with them. Soon, some will begin to ask you how they can be a part of what you do. There are different ways you can set up an attraction marketing system: you could use a website, a blog, post articles on social media, online forums and so on. AYODEJI OLADEJI CHARLES: Thank you John for this brilliant ideas. I will like to ask that in a situation where you’ve gotten the right network marketing prospect, and he started giving excuses and some objections, how do one approach and eventually close such prospect? JOHN AGBO: Ok. I must say this straight away, objection is not rejection. For me, when I come across people who give me objection even it is quite clear that they are interested in what I have to offer, I am happy and I will tell you why. People raise objections basically for two reasons: lack of believe in themselves and lack of believe in network marketing. Go check it, any objection that is been raised by any prospect can be narrowed down to these two reasons above. When a prospect raises an objection, it is because the prospect wants you to make him understand better and also educate him more that this thing you are actually telling him works. So, that is not the time for you to chicken out and say Some Will Some Won’t So What? Next! An objection is an opportunity for you to further build the relationship with the prospect, it helps you to educate the prospect, add more value to the prospect and finally guide them to your solution. You should be happy that prospects raise objection because people who don’t ask questions and just get in will quite even faster than they came because they do not have a better understanding of what they are getting into. When prospect give you an objection, don’t allow it throw you off balance and don’t walk away too fast. Your job is to educate the prospect and help them to understand more better about the opportunity. Now, I am going to give you four main steps to handling objections like a pro. Number one: You must learn to listen to the prospect attentively. Do not argue with your prospect even if the prospect tries to speak bad about the profession. Always remember that your job is to educate and give them a better understanding. Number two: Relate with the prospect. If money is really the issue, the answer would be ‘yes’ from your prospect. Number three: Tell stories. This is similar to the above. You are using yourself as an example to tell a story in order to make the prospect understand that his objection is not really a challenge. In a scenario where you don’t have any story to tell, you can use stories of your upline leaders. Let’s say your prospect says ‘I don’t have enough time’, you could use an example of a banker in your team who despite his busy schedule was able to build his business part time till he later resigned from his banking job. Then say this ‘I totally understand. You see, there is this Mr X in my team who was a firmer banker. Despite the fact that the job schedule was very tight, he was able to figure out time to build his business part time until he later resigned from his banking job and right now he is amongst the top ten earners in our company. Now, if I am willing to show you how Mr X was able to do it despite his busy schedule, would you be interested? Again, if time is really the challenge then you will get a yes from the prospect. Number four: Ask questions. Remember, your job is to educate and inform the prospect so that they can have a better understanding of what you are offering them. Your job is not to convince anybody. By asking more questions, you get to know their needs and how to help them make an informed decision. AYODEJI OLADEJI CHARLES: Hmm, thank you John. So what can one do differently about his network marketing business in 2018? JOHN AGBO: The definition of insanity they say is doing the same thing over and over again and expecting a different result. If there is one thing anyone can do differently about his network marketing business this 2018 is to decide to go Pro. Amateurs don’t get paid in any profession, only professionals do. So if you are yet to go Pro as a network marketer, this year, and today is the best time to make that decision and go into action. Secondly, start using attraction marketing to build your business so you can attract highly qualified prospects who are interested in what you have to offer instead of chasing and begging people and spamming your link all over social media. Apart from the fact that these tactics don’t work, it is also giving the profession a bad name. AYODEJI OLADEJI CHARLES: You are right John, now, I have this question for you. How can I explain network marketing business to someone who never heard about it before? JOHN AGBO: When you meet someone who has never heard about network marketing before, you can explain the business to the person by first talking about the real concept of every legitimate business. A legitimate business has a tangible product or service that they sell to their customers. This also applies to network marketing because where there is no products to be moved by the distributors, then what the company is operating is a pyramid scheme. You can also explain network marketing as compared to business in the cooperate world where you have chain of stores and there are regional managers, area managers and divisional managers. At the top of the organization, you also have the CEO, MD, President etc. A lot of money is been invested in paying these staff as well as advertising the company’s products. In network marketing as well, a lot of money is been invested into advertising and there are people in the distribution chain with different ranks. The only difference is that the network marketing companies do not pay the media like TV, newspaper, magazine and so on to advertise their products. Instead, they pay their independent distributors to advertise the products to people through word of mouth. Also, you are been paid based on commissions so the more people you are able to refer to the company to purchase the product, the more you get paid. You are been paid for your effort and your earning potential is unlimited unlike in the cooperate world where your earning potential has a limit. AYODEJI OLADEJI CHARLES: That’s explosive John. What are the habits that can kill a network marketing business? JOHN AGBO: Several bad habits can kill a network marketing business but I am going to list a few which I feel is the reason why most people never go far in this profession. The first bad habit is inconsistency. If you are not consistent with your business, it will be very difficult for you to build the business and life of your dream. You must show up everyday whether you feel like it or not. 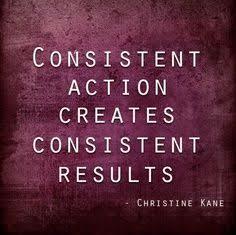 You have to be consistent with the income producing activities. If you are not doing them, it will definitely reflect in your bank account. Even when it seems like nothing is working out, keep showing up everyday, soon, you will start seeing the results of your effort. Second is lack of focus. A lot of people are struggling with the shiny object syndrome. You see them talking about one opportunity today and the next day they are talking about one new opportunity in town. Whatever you are doing people are watching and once your prospects notice you are jumping from company to company, they will think that you are not successful otherwise you should have stick to one company. You must develop a long term vision for your business, choose a company that you love the compensation plan and products, then decide to stick to that company for at least 5-10 years. That is the average time it takes to build any successful business and network marketing is not an exception. Lack of vision is another bad habit that can kill your network marketing business. You must know where you are going in life otherwise any road can take you there. Know where you want your business to be in the next five to ten years and know exactly what you need to do each day to get you there. The fact that you registered your business with $100 doesn’t mean that’s the end of it. If you don’t invest in your personal development, your business will suffer. The place of self development in network marketing cannot be overemphasized. You must keep learning consistently to upgrade your mental software and keep up with new trends for building your business. In a brick and mortar business, you don’t just rent the shop and sit down there waiting for customers. You must stock the shop with goods, pay for light bill, pay for tax and other maintenance fees because without these things, your business won’t function effectively. 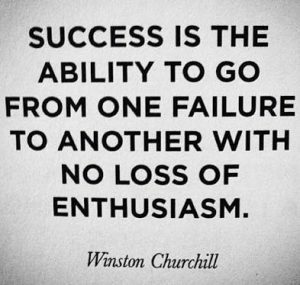 This also apply to your network marketing business. You have to buy books and read, pay for coaching, attend training and events, and invest in tools that will help you build your business. AYODEJI OLADEJI CHARLES: Awesome! Now, I am new to network marketing, how do I convince my prospects that they will make money and I never even make one myself? JOHN AGBO: The best thing you can do is to use your upline’s story. Let the prospect know that you are new to the business but the people you are working with are earning good income from this business. Explain to the prospect that with the kind of training you are receiving from your upline leader, you are very confident that if they join you, they will also receive such training and be on their way to earning good income. JOHN AGBO: Outside work I love to gist with my wife and play with my kids. AYODEJI OLADEJI CHARLES: What encouragement/words do you have for Naija Marketing Pro Community? JOHN AGBO: I really love what you guys are doing. Just keep up with the good work and the sky will be your starting point. AYODEJI OLADEJI CHARLES: Amen. We are also glad that you accepted our invitation to interview you on a beautiful day like this. It is my greatest hope that this will go a long way to help network marketers to market their opportunities to the right network marketing prospects. On this note, we have come to the end of the interview. It’s our wish to see you becoming a Naija Marketing Pro, because with network marketing, you can take full ownership of your life. « HOW TO FOLLOW UP ON SOCIAL MEDIA : THE RIGHT WAY.